The Environmental Protection Agency (EPA) will hold Public Hearing, beginning 4th -8th June,2018 in four municipal and district assemblies in the Keta Delta Block in accordance with the Environmental Assessment Regulations 1999, LI 1652 (Regulation 17). 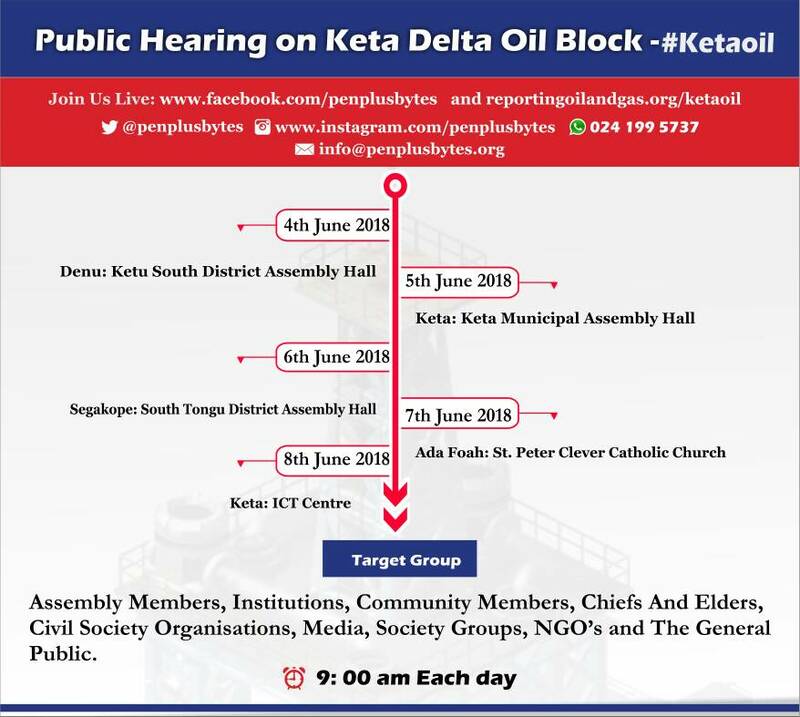 The Public Hearing is in response to the Swiss African Oil Company (SWAOCO) Scoping Report proposing to undertake a seismic survey in order to delineate potential hydrocarbon prospects in the Keta Delta Block (which covers an area of 3,000 km2) in the Keta Basin. The Block is located in the Keta Basin and covers the southern-most part of the Volta Delta and transitions into offshore, and located north of the Keta Block. The onshore part of the block covers all of the Keta Municipality, part of Ketu South, part of South Tongu and part of Ada East. In December 2014,Swiss African Oil Company Limited (SWAOCO) a subsidiary of Swiss African Petroleum AG was awarded the newly defined 3,000 km2 Keta Delta Block. Pet Volta Investments Limited and GNPC are participants to this block. The fully promulgated Petroleum Agreement has an effective date of 11th March 2016. To this end, a 6½-year venture has started to locate drilling “sweet-spots” using 1,100kmline of newly acquired, modern 2D seismic data to site an initial test well to the Devonian. If this well demonstrates commercial viability, at least 150 square km of delineation 3D seismic data acquisition would validate additional drilling sites and hopefully the establishment of commercial production.